Put together 7 vegetables out of last years garden and 2 lbs. 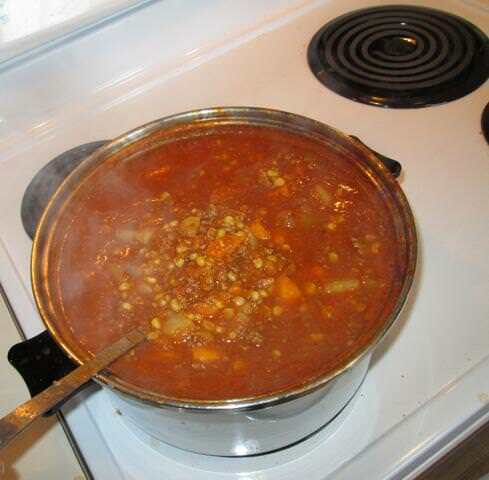 of home grown grass feed hamburger and decided to make a big pot of soup. It turned out good. Last edited by jltrent on Sun Feb 11, 2018 10:45 am, edited 1 time in total. Re: Anybody make their soup? My wife makes the soup around here. Beef and vegetable soup is about as good as it gets. Yes we eat a almost identical home-made soup every few days through the winter. Except it's ground venison. I make a vegetable beef that's brown (pic looks red to me). I buy a cheap roast and use lots of my almost secret ingredient...beef base. TexasBred wrote: Where's the corn bread??? That looks good. Do you ever can it? We normally make more than we can eat so we'll pressure can the soup in quart jars which makes for a perfect easy meal when we are pushed for time. Jogeephus wrote: That looks good. Do you ever can it? We normally make more than we can eat so we'll pressure can the soup in quart jars which makes for a perfect easy meal when we are pushed for time. Any left over I freeze it in small containers just enough for a serving. I made two big pots like this and half of it got froze. 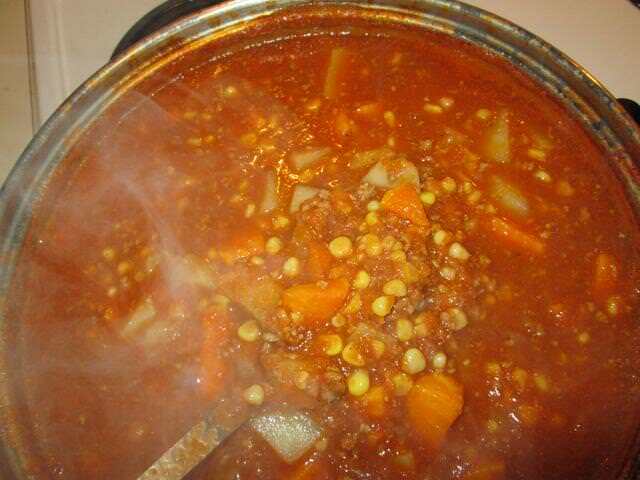 slick4591 wrote: I make a vegetable beef that's brown (pic looks red to me). I buy a cheap roast and use lots of my almost secret ingredient...beef base. Can you share your almost secret recipe? Sure, but keep it an almost secret. slick4591 wrote: Sure, but keep it an almost secret. I used a TBS of that when I bagged a roast and cooked it sous vide. Made for some incredible lunch meat. Flavor was incredible. The last roast I SV'd I coated with powdered au jus and dried onion, then vacuum packed the thing and let it set for 24. It went into the bath at 131/48. This is by far the best roast beef sandwich meat I have ever eaten. Goes great with French or sour dough. Burgoo is about the only soup I like. I guess most would call it a stew, but I like mine thin.